Sugar apple, also known as sweetsop, is the edible fruit of Annona squamosa, a small, well-branched shrub native to the tropical regions of South America and West Indies. 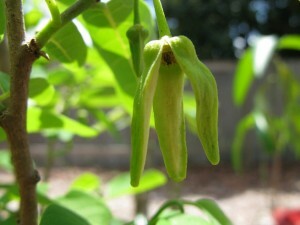 Its high Vitamin and mineral contents, along with the unique sweet taste, make it highly popular, especially in the tropics. Sugar Apple may be round, ovoid or conical in shape, being 6-10 cm in length; 5-10 cm in diameter and 100 g to 240g in weight. 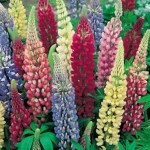 Its color may be pale green, grayish green or bluish green while certain varieties also have shades of dark pink. The exterior of the fruit is characterized by a thick, hard outer layer (rind) as well as knobby segments, which get separated on ripening, exposing the inner part. The interior has a creamy-white or light yellow appearance and a sweet, juicy flesh along with a pleasing fragrance, tasting like custard. Each fruit may have about twenty to forty seeds while some varieties may be seedless. 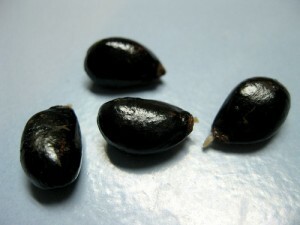 The black or brown colored seeds are oval or cylindrical in shape. Given is the nutritional value of 100 grams of sugar apple (sweetsop). Dietary fiber plays a significant role in slowing down the absorption of sugar in our body, also lowering the risk of type 2 diabetes. In fact, studies show that we need a total intake of 25 to 30 grams of this carbohydrate on a daily basis. Two sugar apples included in your diet will help in meeting close to half of your daily value of dietary fibers. 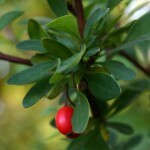 It has several valuable vitamins and minerals in it that are helpful in relieving an asthma attack. While Vitamin B6 minimizes the chances of the bronchial tubes to be inflamed, Vitamin C helps to lower the histamine levels thus reducing inflammation and wheezing. 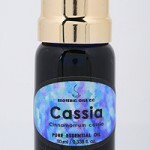 Magnesium, on the other hand, helps in relaxing the muscle cells. Potassium helps in lowering blood pressure by balancing the adverse effects of salt in our body. The recommended value of potassium every day is 4700 milligrams where this fruit contains 5% of the daily value. Eating this fruit daily along with other foods rich in potassium as well as maintaining a healthy lifestyle may help in keeping your blood pressure under control. Vitamin B3 or niacin plays an important role in increasing the levels of good cholesterol (HDL) by 15-35% while reducing triglycerides and LDL-cholesterol levels by 20-50% and 10-20% respectively. Sugar apples provide you 6% of the daily value of Niacin. However, if you are already on medications for cholesterol, refrain from eating a lot of cholesterol-controlling foods as they may interfere with the functioning of the medicines. Sweetsop contains 2% and 6% of the daily value of calcium and magnesium respectively, both of which are essential for strengthening and maintaining your bone health, lessening chances of osteoporosis and other bone-related problems. 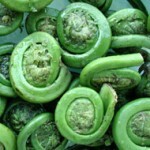 It belongs to the group of foods used to maintain a healthy heart. It contains 15% of the Vitamin B6 which, along with Vitamin B9 and B12 helps in controlling the homocysteine (an amino acid) levels in our blood thus lessening the possibilities of stroke or coronary heart disease. 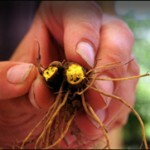 Copper helps to stimulate the thyroid, also protecting our body from excessive thyroxine in the blood. As sweetsop contains a significant amount of copper, it can be regarded as one of the foods to be eaten for controlling thyroid. The antioxidant properties of Vitamin A help in protecting the retina and cornea cells from free radicals, thus contributing to a better eyesight. While incorporating Vitamin A rich foods in your diet, you may also consider adding this fruit. The presence of copper and dietary fibers in the fruit aids in proper digestion relieves constipation as well as regularizes bowel movements. 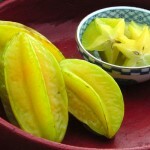 This fruit is one of the preferred foods that pregnant women can eat. It contains folate or folic acid that is highly useful for women during their time of conception, as it helps in minimizing the risk of neural tube defects. Therefore, apart from taking capsules to maintain their folic acid levels, pregnant women can also eat sugar apple along with other nutritious fruits. However, avoid overconsumption and consult a doctor if you think it is not suiting your digestive system well. The whole sugar apple may be eaten ripe after getting rid of the seeds. 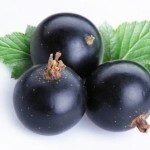 As it has a lot of nutritional benefits, it can be mixed with cereals and eaten for breakfast. Shredded coconuts or nuts may be added to enhance the flavor. You can make a popsicle by mixing it with other ingredients like lime, honey, cilantro, and sugar. 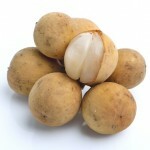 The segmented part of this fruit can be used in making ice cream when blended with frozen yogurt. 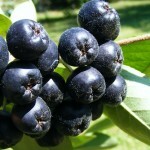 This fruit can be used in making shakes or cool beverages when added to milk. In order to enhance the sweetness, it can be added to side dishes like fruit coleslaw. 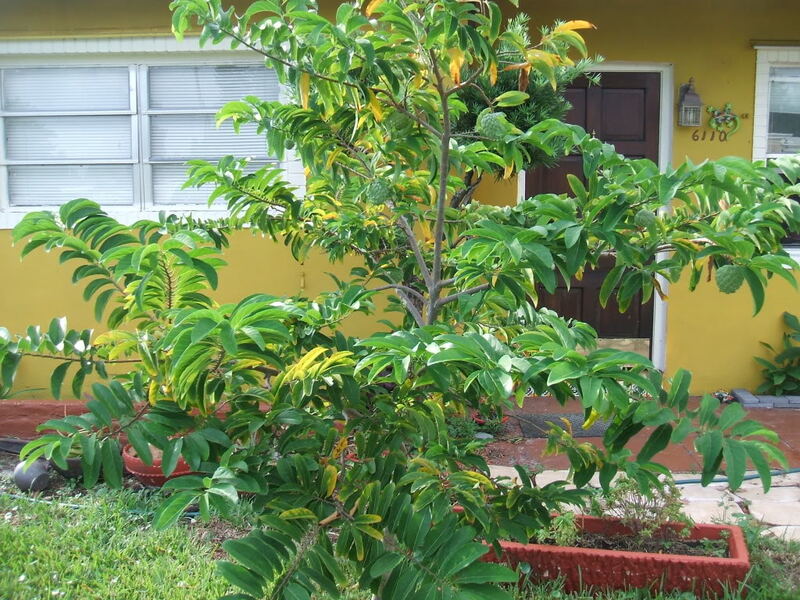 The infusion of the bark of the sugar apple tree is used as a tonic for controlling diarrhea and dysentery because of its astringent properties. The unripe fruit is useful for treating loose stool and indigestion as it contains tannins. The decoction of the sugar apple leaves is either taken individually or mixed with those of other plants and used either as an emmenagogue, a febrifuge or as a tonic for curing cold and digestion problems. 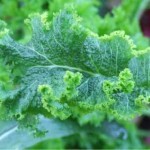 A paste of the leaves is applied topically on ulcers and tumors due to its anti-ulcer properties. 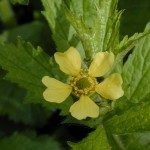 The extract of the leaves are used in herbal baths to provide relieve from arthritis or rheumatism. Crushed sweetsop leaves are sniffed to help a person overcome a fainting spell, feeling of nausea or hysteria. 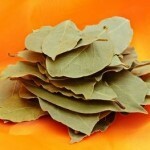 The leaves help in relieving headaches when tied around the head for some time. Its seeds are powdered and used as a paste on the scalp to get rid of lice, though be careful while using it as if it gets to the eyes it might cause a lot of irritation even leading to blindness in severe cases. Crushed seeds or leaves are boiled and used to bathe dogs or cats to get rid of fleas. Powdered seeds and dried crushed fruits have been used as an insecticide as well as a poison for fish. The leaves are burnt and used as a mosquito repellant. 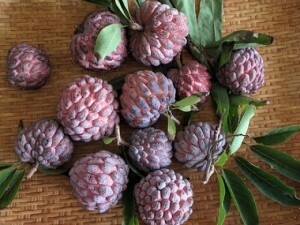 Sugar apple should always be eaten ripe, that can be detected by its soft texture when pressed gently. You will also be able to spot cracks in the hard skin after it has ripened. Pull it apart with your hands. Take out the white fleshy fruit segments and eat them one at a time. Make sure to throw away the seeds. This fruit will taste best when eaten chilled. Thus, you may keep it in the fridge for about three hours before eating. All four of these fruits belong to the Anona genus but each one is different from the other. 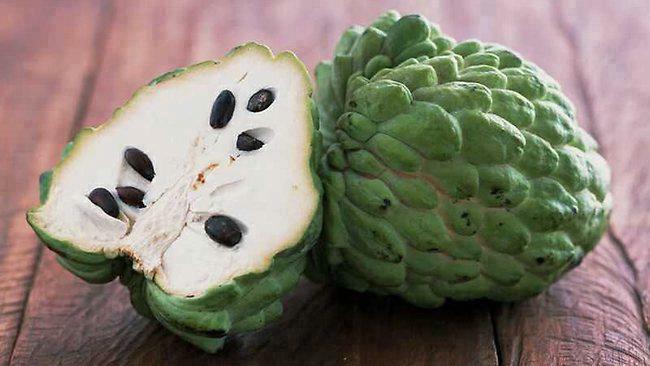 Though sugar apple is mistakenly referred to as custard apple in certain countries like Australia and India, the latter is only a closely related species. 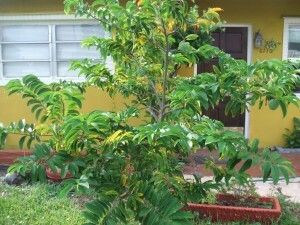 Custard apple is not as drought tolerant as sugar apple and it can grow in a humid climate. Cherimoya is popular for its creamy, juicy taste, with its flavor being a blend of a variety of fruits like pineapple, peach, banana, strawberry and papaya. Atemoya, on the other hand, is a hybrid of cherimoya and sugar apple, also known as pineapple sugar apple. It has fewer seeds in comparison to this fruit, with its taste being similar to pineapple. 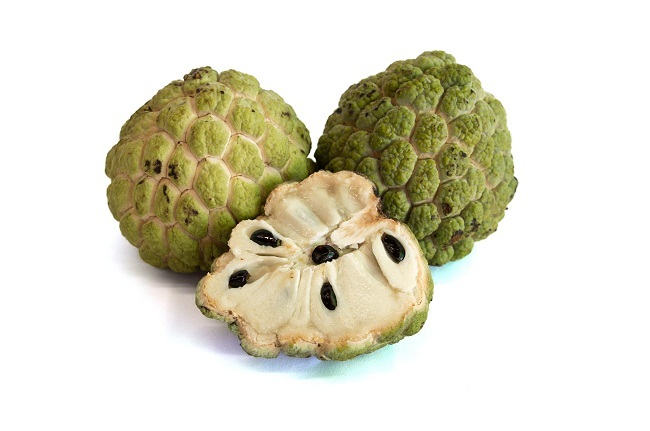 You can replace it with custard apple, Atemoya or cherimoya as all of them have a similar flavor and texture. 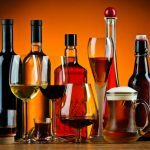 Although it has no known side effects, overconsumption may lead to certain stomach ailments or uneasiness. You can purchase this fruit from supermarkets or whole food markets selling fresh fruits and vegetables or from online fruit sellers. 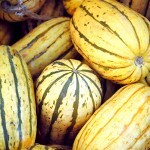 Opt for the round ones with thick flesh, smooth skin, big scales along with yellow grooves. Do not go for spotted, blemished or ruptured ones. If you are buying the red ones, then check for bright pink grooves. 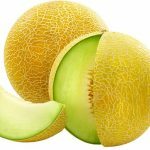 You can store the unripe fruit at room temperature. However, once it is ripe and softened, it will stay for about five days when stored in a container and kept in the fridge. 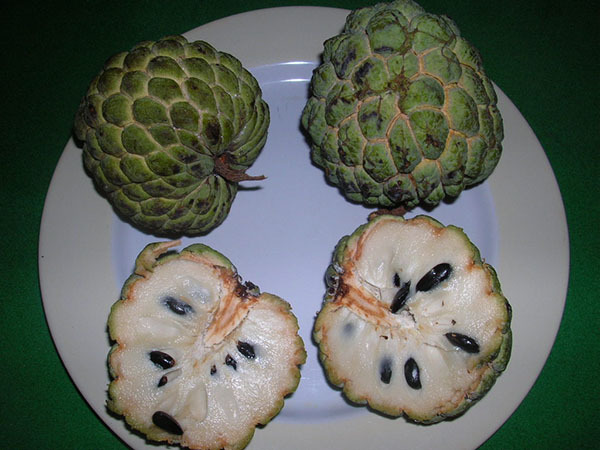 In 1955, the Seedless Cuban sugar apple was introduced in Cuba, and later another seedless variety was seen in Brazil though they were said to be of an inferior type in comparison to the seeded fruits. Indian horticulturists have cultivated ten different sugar apple varieties, some of them being crimson, red, red-speckled and balangar.